Advertising campaigns introducing MUJI to the neighborhood. We worked with MUJI to create a campaign celebrating their new location in Williamsburg. Inspired by the iconic sense of place, we used Williamsburg as the background. The posters were used on billboards around Williamsburg, New York and on the new store windows. We photographed the iconic MUJI bag on the streets of Williamsburg, in the subway, on the Williamsburg bridge, and in Williamsburg apartments. Iconic wallpaper from old apartments, the stairs to the subway platform, and the look of the NYC Skyline from Williamsburg. 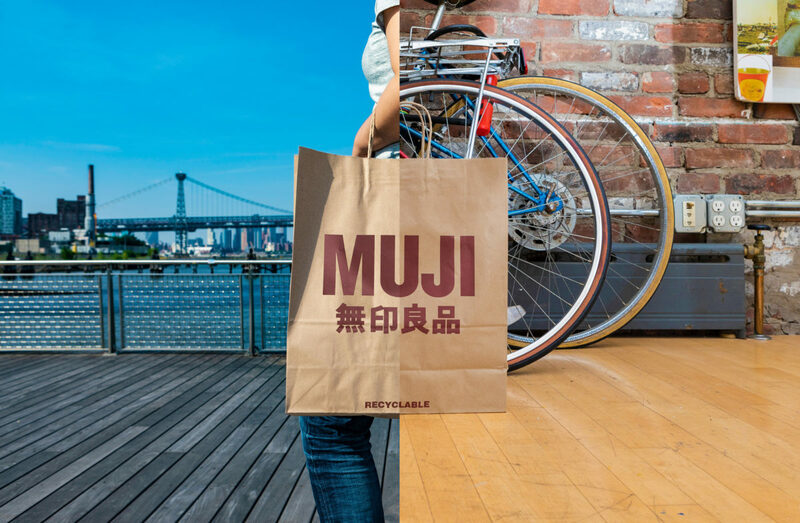 For the MUJI store opening date, We switched out the bags with Iconic MUJI products expressing the excitement of having MUJI in their apartments or wearing them on the street. All the locations were in Williamsburg showing the iconic nature of home. 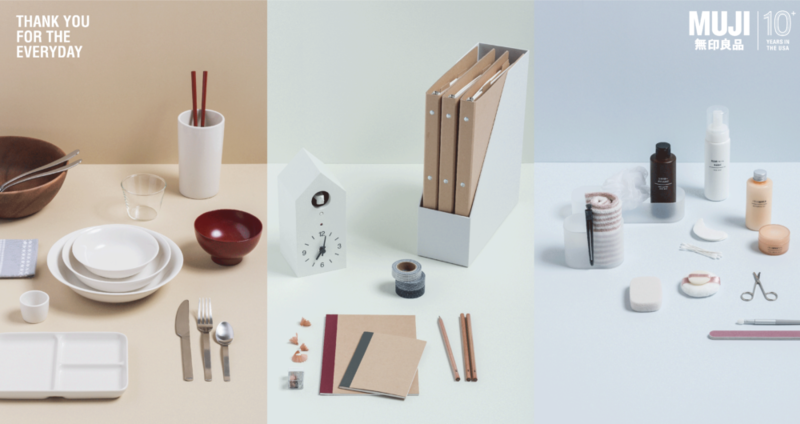 We combined the shape of products to express the simplicity of form that MUJI strives for in all its products. For the MUJI SOHO grand reopening, we created a series of gifs used across social media. An advertising campaign that thanked customers and celebrated MUJI’s 10th anniversary stateside. We worked with MUJI to design a campaign for their largest national advertising initiative, celebrating the company’s 10th anniversary in the US. MUJI wanted the campaign to thank customers and promote a price reduced product line — because cost shouldn’t be prohibitive for everyday use. “Thank You for the Everyday” showcased product images and still life compositions that elevated everyday products in an everyday fashion. The 10th-anniversary mark combined the MUJI International lockup with a modern 10+, paying respect to the company’s Japanese roots and its future. The + is both the symbol for the number 10 in Japanese (for those in-the-know) and a clear nod to what’s next.